I didn’t start out being a flower photographer. It just kind of happened. Sort of like being the one whose job it is to do the laundry because you do it every week, but now you have that title so you have to do it every week. Well, I digressed so back to flowers. Flowers seem like an easy subject because at certain times of the year, they are abundant. They don’t move so you have a captive subject. They usually are grouped together so if one looks pitiful, you can find another one to photograph. Sounds simple, correct? Wrong, wrong, wrong! Because everyone likes to shoot them, and they make great subjects for beginning photographers, it is actually difficult to have your, or in this case, my flower photos stand out from the crowd. My successful flower shots have included dramatic lighting, a complimentary background, a creative angle, or a unique composition. Let’s face it. Flowers can get boring. They are well painted, well photographed, and well seen. This past summer, I got lucky. Others noticed my flowers, and I was awarded ribbons at fairs and “Photos of the Day” at Capture Maryland. Those few photos I entered were chosen from literally hundreds I had taken. As autumn approaches, I made one last trip to photograph sunflowers. This blog contains four such photos that I absolutely love. That’s another thing we photographers do. We get attached to our work, and cannot tell what others may view as good or great art. So once again, let me know what you think of them by email or comment. Also check out my home page on the tab above. My featured photos are both award winning-“Sunlit” and “Quite a Pair”. I have also added more photos to view under the “Recent Photos” tab. And finally Sheri and Erin both won free photos this week! As always, enjoy and thanks for supporting my work! This entry was posted in Flower Photography, Kathi Isserman Photos, Photography and tagged Art, autumn, Camera, Capture Maryland, Flower, flowers, free photos, garden, Kathi Isserman, Maryland, Maryland State Fair, nature, Photograph, photography, Shopping, United States. Bookmark the permalink. 10 Responses to Where have all the Flowers Gone? Well Kathi, you’ve only just gone and photo’d my most favourite flower, I’m a huge sunflower geek. I grow them in the garden every year. These are beautiful and can you imagine having ‘Sunshine on my Flower’ blown up and hanging on the wall? 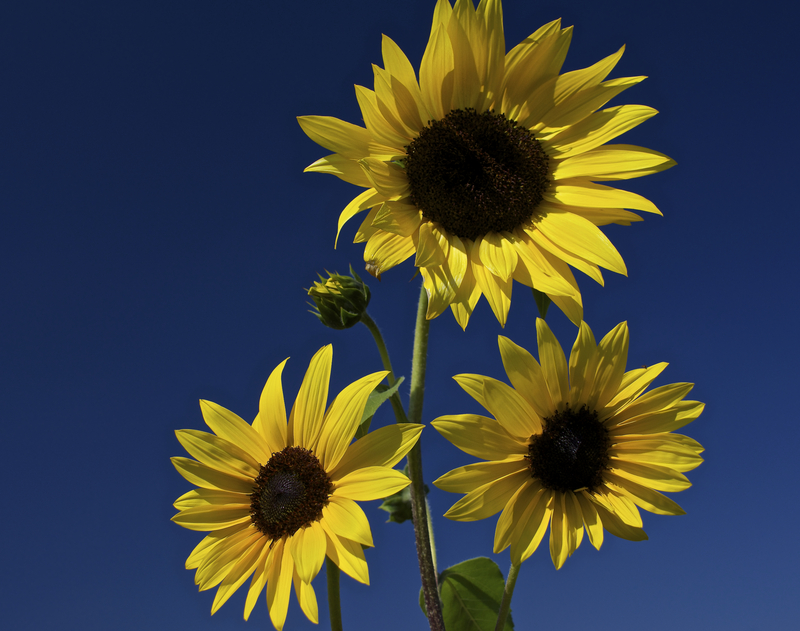 Sunflowers always make me smile…who would be depressed with a picture of this in the study? I am rather fond of them myself. They are over-photographed in the summer, but not so much now. My photo buddy found this field still blooming. I am hoping to get feedbakc like yours to see which i put up to sell. I like your ‘Sunshine’ and ‘Sunshine on my Flower’ photos best. Particularly the great lighting on ‘Sunshine’ and the dark blue sky and the composition of ‘Sunshine on my Flower’. Bob, your opinion always means a lot. You have a great eye. A field of sunshine is a beautiful picture. I sure wish that we had fields like that around here. I had to drive over an hour, but they are abundant around here! I love your sunflowers, though I confess bitter jealousy that you have a field of such huge flowers close by. I had about a hundred of them spring up naturally from parrot leavings and I transplanted them into pots where they flowered, but stayed small. I guess you need lots of soil for the large roots. Anyhow, you inspire me to cultivate them more carefully next year. They attract bees, and the centers are rich sources for yet more seeds. You capture all the shameless exuberance of the fully open flower. That is so cool. I would never have thought to grow my own. The honey bees were flying around and at first I was shooing them away. But they are so valuable to us. I felt they had more a right to be there than me. I don’t think I could ever get tired at looking at flowers and yours are spectacular. The Sunshine one, I think, is my favorite. Though I really like the Field of Sunshine as well. Amazing! !